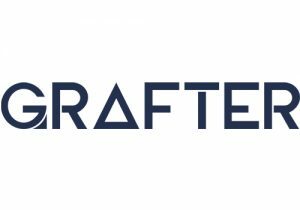 Grafter was launched in January 2018 and has already signed up over 20,000 users. It’s a simple and easy way for businesses to find the additional resource they need whether it’s for a day, a project or a full-time role. The rates are set by the employer who connects directly with workers with no unnecessary middlemen. Its a great way to find labourers when you’re working away from home and want to save on travel costs or just need an extra pair of hands to get a project completed on time and on budget. All our grafters are available on a contractor basis making engagement straight-forward. Its free for businesses to search and engage with workers and if you want us to take care of the admin we also provide a managed service. We provide a legal agreement to protect you, take care of the invoicing and payment through our secure payments system and are there to support the whole process. The managed service continues to evolve with insurance and CIS deductions coming soon. All grafters and employers can be reviewed through the platform so you know who’s good and who’s not. You can also access the profile of available grafters detailing their skills, experience and qualifications. We even help grafters upskill with training opportunities. Grafter has set out to change the way that business across of range of industries find their workforce – an increasingly difficult challenge that is made easy with Grafter.